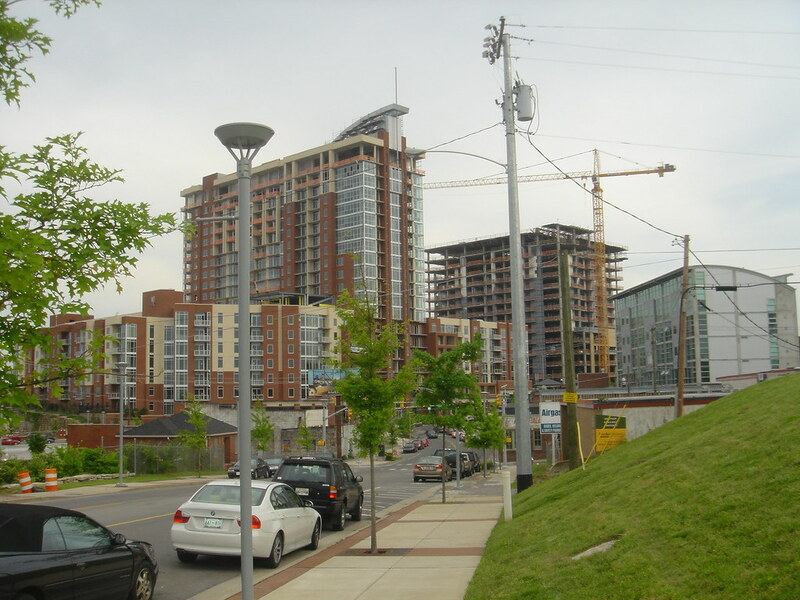 Is Nashville the Next Boomtown of the New South? 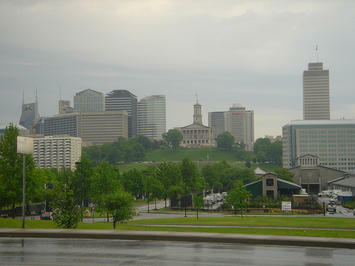 I traveled to Nashville for the first time in 2007, spending most of my time in the downtown area. I posted my impressions here, noting the high growth and high ambition level as well as the fantastic freeways, but also the generally unimpressive development and built environment. I did another fly-by in April 2008. I made a conscious effort to try to get out and see different areas this time around. My tour guide was an Indy native who had spent the last decade or so in the northeast. He’d moved to the city about a year previously, so was seeing some of this for the first time himself. But it worked well, I thought. I believe Nashville is an extremely important case study for metros in the Midwest to examine. Here is a city that was a sleepy state capital for many years while other southern towns such as Atlanta and Charlotte took off. Then it began heading on an upwards trajectory. It is not yet at such a high growth rate that it appears to be a completely different sort of place than the Midwest. Its population growth is only 1.9% per year, for example, not much higher than Midwest growth champion Indianapolis at 1.5%. But all the trend lines are accelerating. Corporate headquarters are flocking, in city development is booming, transplants from the north are arriving. It would not surprise me to see this city pop into a higher gear when the economy turns upwards again. It can’t be just because Nashville is in the south or a no income tax right to work state. Memphis in the exact same state and is hurting. Birmingham and Montgomery haven’t done much in right to work Alabama. Its college degree attainment of 31% is below many comparable Midwest cities, though it should be noted that Nashville is moving up the league tables fast. It was recently ranked the 4th biggest “brain magnet” in the United States. It has no particular unique industry or assets. It can cite its Music City USA image, which certainly drives tourism and money. But Midwestern cities have other equivalent things they can counter with. Plus, it was Music City USA all the time it was a sleepy state capital as well. Just being the state capital doesn’t explain it. Indy and Columbus are both in that role and are getting out paced by Nashville. 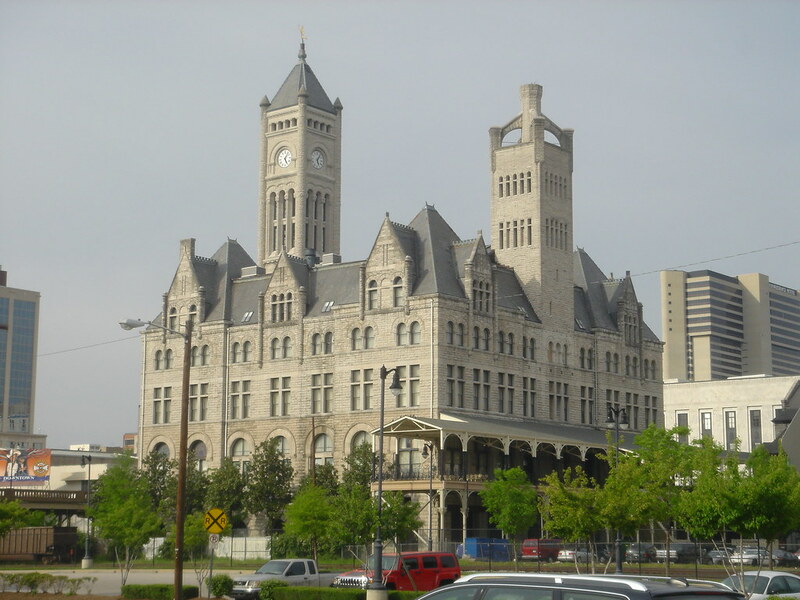 Having a consolidated city-county government is not unique. Indy and Louisville are both consolidated, and Columbus is quasi-consolidated because of the ability of that city to annex most of Franklin County and even parts of several adjacent counties. There are mountains, but the geography does not appear to be particularly compelling. 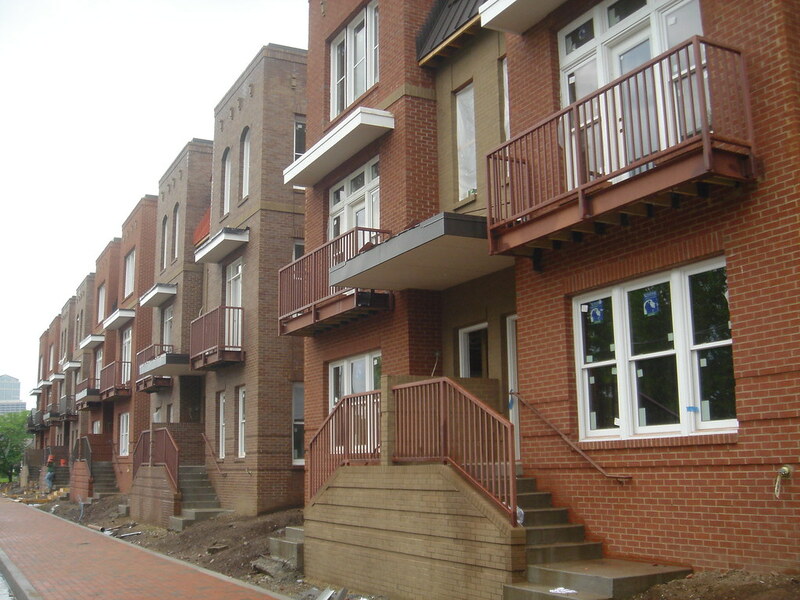 There are not fabulous historic districts in every region. In fact, while there are some nicer neighborhoods, much of the city is built out exactly like most Midwestern burgs of equivalent size. A lot of it is outright dumpy. Its cultural institutions are not as advanced as Midwestern ones. The Nashville Symphony isn’t going to take on the Cincinnati Symphony any time soon, that’s for sure. It doesn’t have some fortress home grown companies that are driving it. 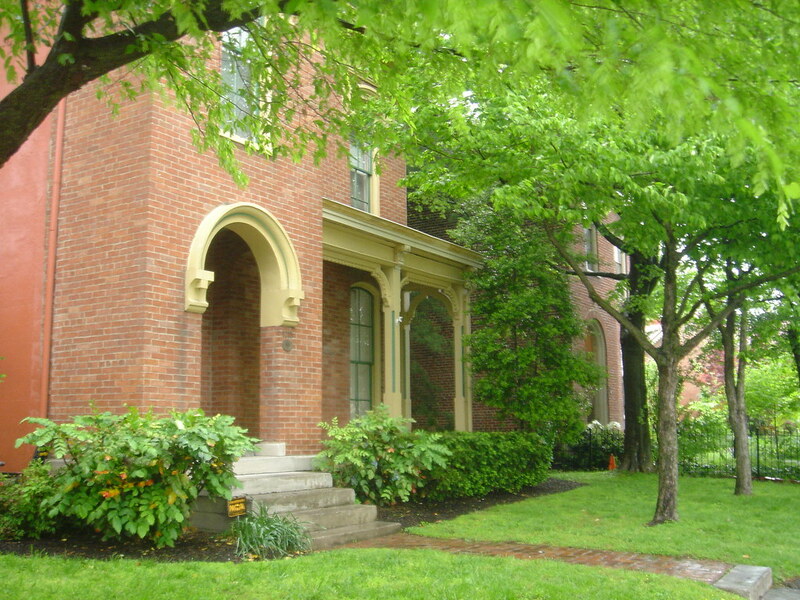 It has Vanderbilt University, but most Midwestern cities have a good school in them too. I compare Nashville to the top performing Midwest metros and just scratch my head. Nashville’s arguably got nothing on the Midwest and in many ways is playing from an inferior position. So what is going on? If anyone else has observations to share, I would love to hear them. Here are some photographs I took while there. First, a view of the Tennessee capitol building across a green space I believe is called the Bicentennial Mall. A street scape in Hillsboro Village, a small commercial district near Vanderbilt University. 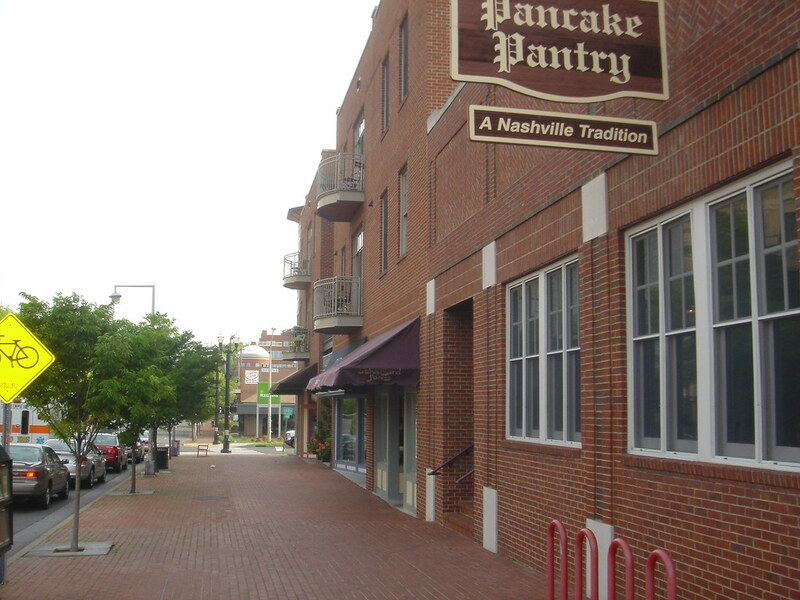 The Pancake Pantry in Hillsboro Village, a breakfast place of high local repute. I was initially skeptical but the food was actually pretty darn good. This place is huge and there was still a line out the door at 10am on a Friday morning. Pretty crazy. 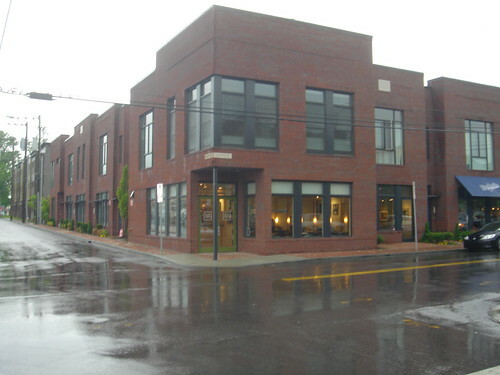 The storefronts are a nice urban touch, but if you look behind this building you see a gigantic parking lot. 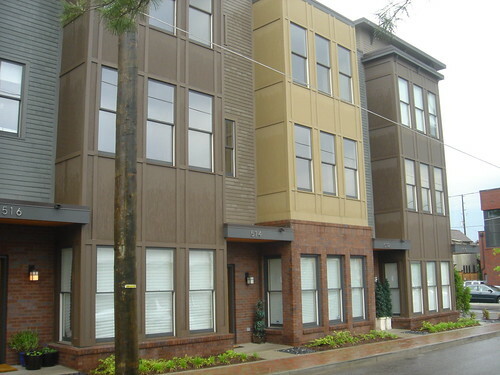 This is perhaps an example of faux-urbanism. Putting the parking lot in the back doesn’t make it any less a strip mall. It is a difference in form, not function. One of the many vacant lots with a “condos coming soon” sign. 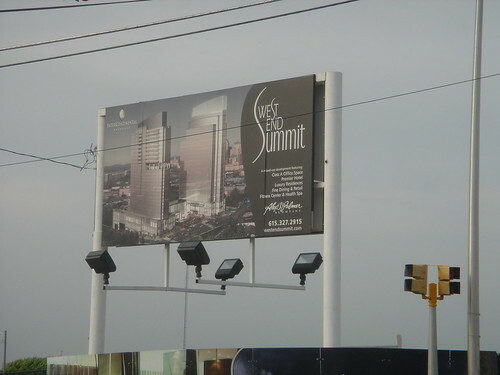 The main road heading west of out downtown, West End Avenue, is developed at very high densities. I haven’t seen much in the way of this in most Midwestern cities. Midrises line both sides of the road basically from downtown to the interstate loop. It’s a six lane mega-street that moves tons of cars, but appears to have great bus service as well. Here is another one under construction. 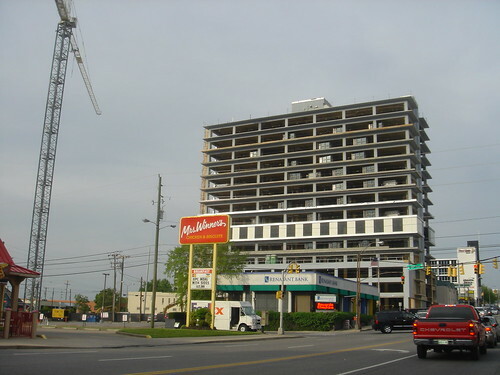 A proposed, but I believe not yet funded, high rise development. Indianapolis readers will no doubt recognize one of the towers as a clone of the proposed Intercontinental hotel for Pan Am Plaza that lost out as the convention center anchor hotel. 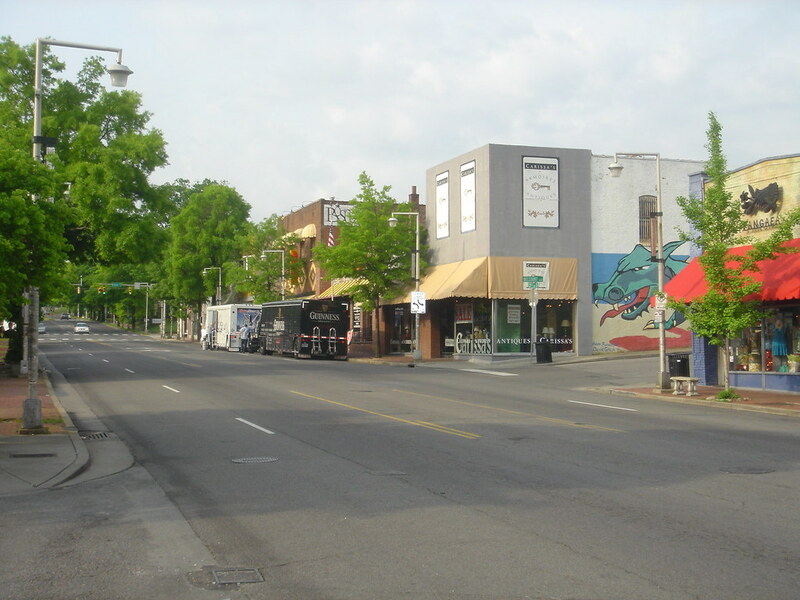 If you continue out to the west from here, you run into neighborhoods like Green Hills, which is where the most premier shopping in the area is found, and the suburb of Belle Meade, which serves as Nashville’s mansion district. Unlike traditional Midwestern mansion districts, this one is more rural in nature, with large estates that wouldn’t be out of place in a plantation. I did not take pictures of these areas, however. Back closer to downtown is a nearby area known as the “Gulch”. It is not too far from Nashville’s Union Station. This appears to be some seedy industrial district that is being transformed all at once by a series of large developments. It also has several clubs and restaurants. I ate at a seafood place called Watermark that was surprisingly good. I believe most of the places are upscale chains, though I’m not sure if Watermark is or not. 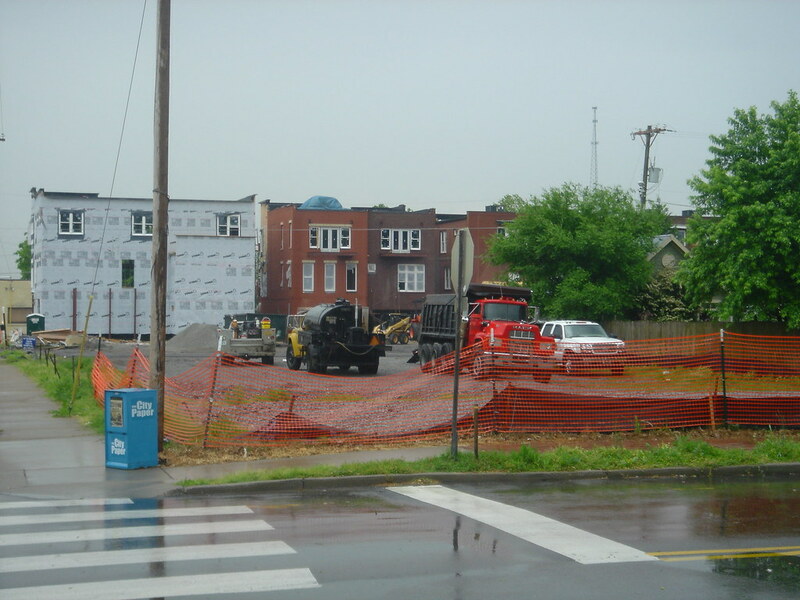 Here’s a picture of some of the development. 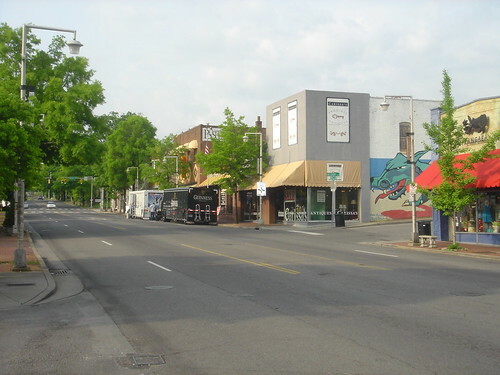 North of downtown is a small historic district called Germantown. This was rather unimpressive if you ask me. I didn’t see much that was German about it. It sure isn’t Columbus’ German Village, that’s for sure. There were some restaurants there. I had lunch at one of them which, fortunately for them, I can’t remember the name of because it was terrible. This area is mostly older single family homes. 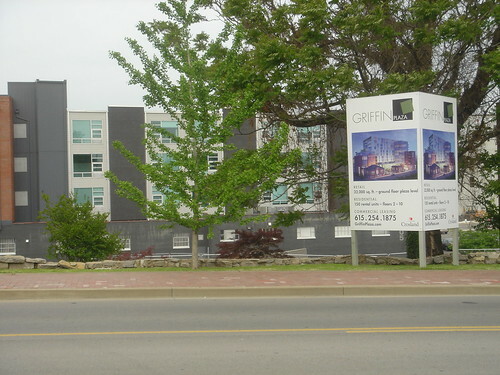 The amazing thing about this area is that almost every vacant or industrial parcel was being redeveloped as condos. This really brought home to me the difference between Nashville and the Midwest. Were this, say, the Cottage Home area in Indianapolis, the local neighborhood association would use their historic district status to keep developments like these out. In Nashville, they are seen as a positive. Here are some examples. More condos with retail space. Sorry for the very blurry pic but it was raining as you can see. More condos being built, and still more proposed. You get the picture. Also, note from all these photos the lack of design disasters. These are all workmanlike structures. The challenge for Nashville is that while there is a ton of new development, all of it is in a relatively generic, undistinguished style that could be in the downtown of almost any city. I did not get a strong sense of any type of vernacular style emerging. That is something I’d be looking for if I were them. 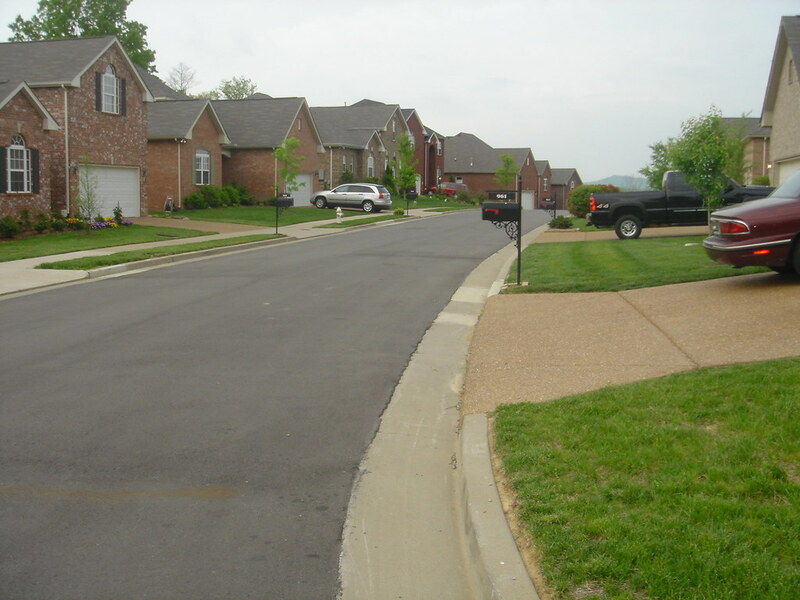 Lastly, here’s one suburban example that shows something I pointed out last time. Namely that even in brand new, upscale subdivisions they aren’t putting in sidewalks on both sides of the street. I find this very odd. While I noticed some bike lanes this time around, Nashville’s definitely got a long ways to go when it comes to pedestrian and bicycle friendliness. 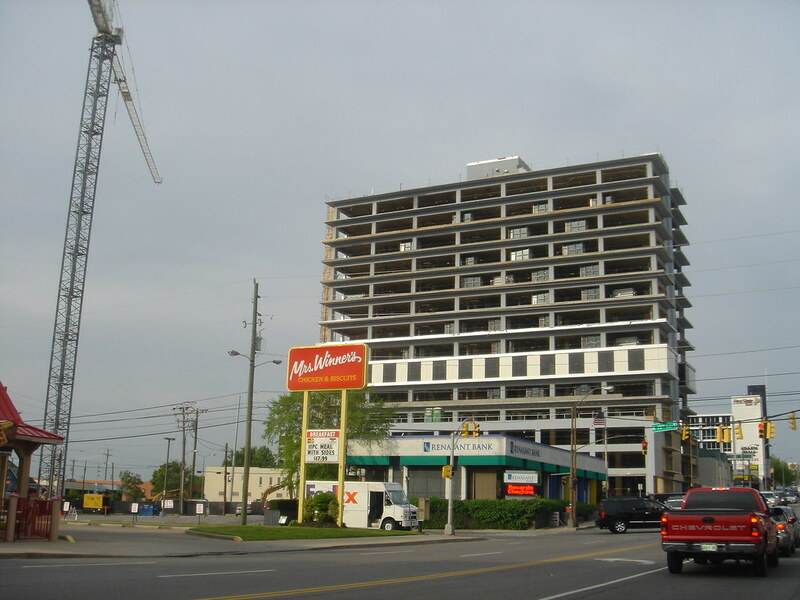 Nashville is definitely a city that is on an upward trajectory. The volume of urban development and the business attraction success are impressive. It is exceeding even the best performing Midwest metros in that regard. However, it still lags the top southern and western metros. 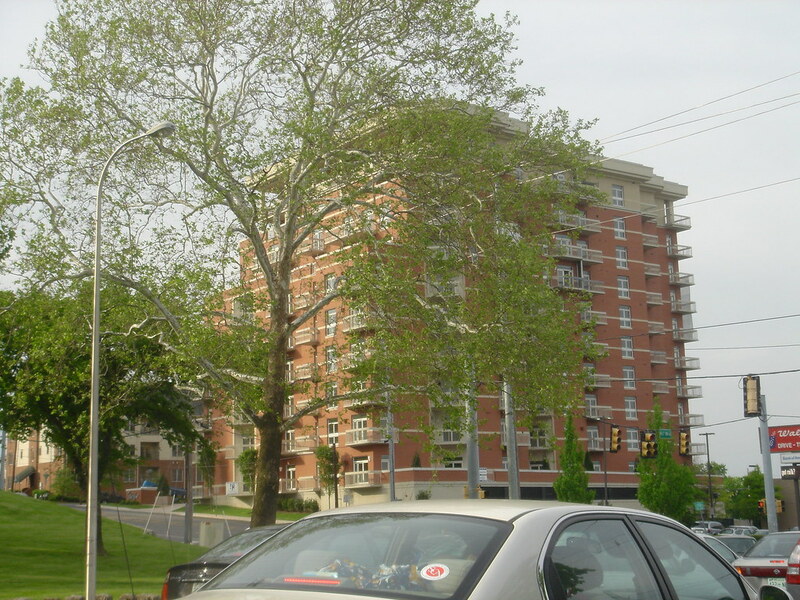 The current rate is very healthy, but probably isn’t sufficient to realize the civic ambitions. 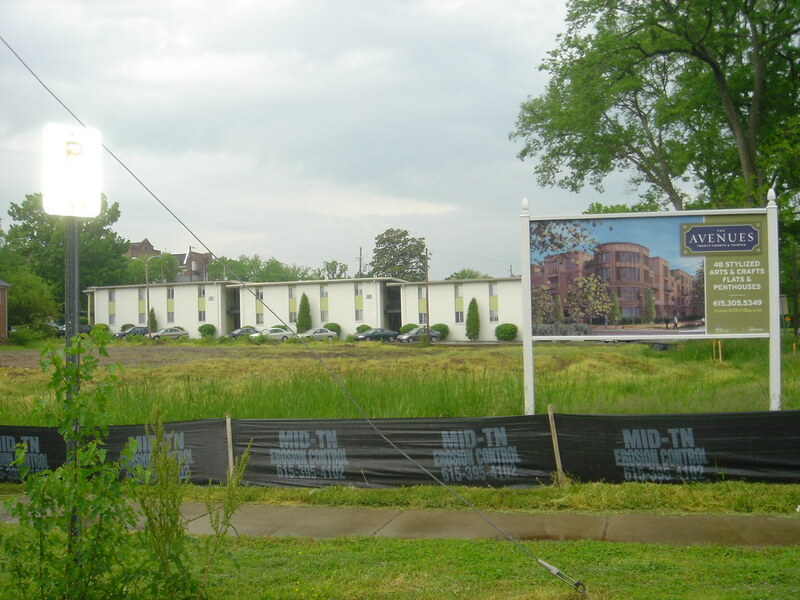 It remains to be seen whether Nashville can put it in another gear and take its place among the boomtowns, or whether it will merely stay on its current growth path. Either path is possible or a valid civic choice. While always possible, the likelihood that Nashville is going to take a major downtown does not appear high in the short term. Aaron M. Renn is an independent writer on urban affairs based in the Midwest. His writings appear at The Urbanophile, where this piece originally appeared. Submitted by john17nider on Thu, 08/08/2013 - 08:22. Submitted by tslrm on Mon, 06/09/2014 - 05:57. Submitted by john17nider on Thu, 07/11/2013 - 02:39. Submitted by john17nider on Mon, 07/08/2013 - 06:03. Submitted by danialkhatri on Sat, 08/17/2013 - 10:08. Submitted by john17nider on Mon, 07/01/2013 - 01:14. 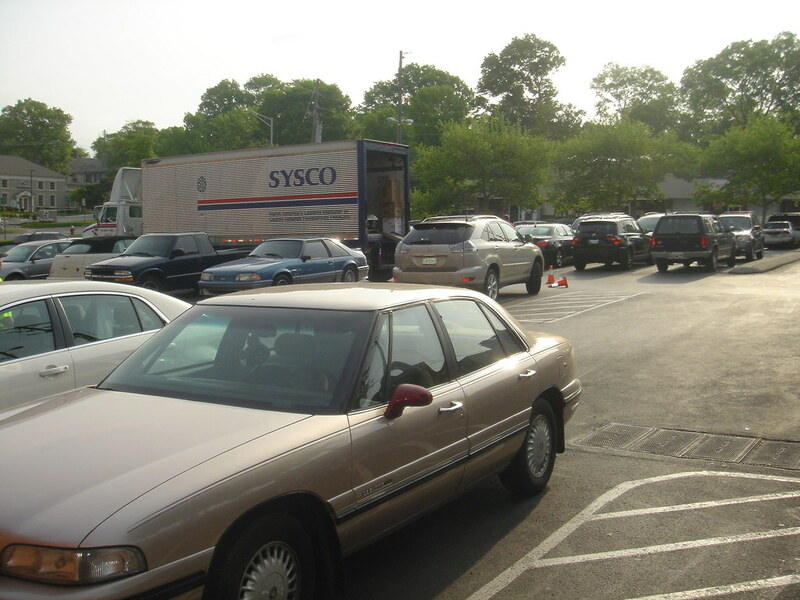 Submitted by john17nider on Fri, 06/28/2013 - 05:23. Submitted by john17nider on Sun, 06/23/2013 - 02:48. Submitted by wing on Wed, 06/27/2012 - 21:14. I like travel.Thanks for your sharing About Nashville . 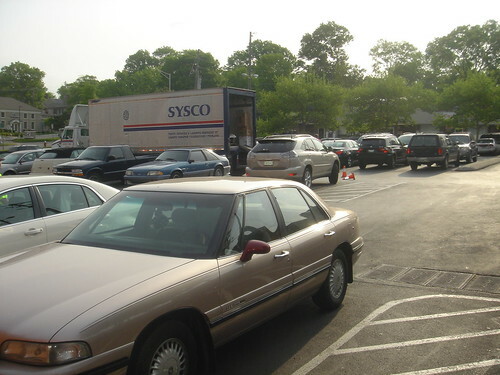 Submitted by Erik W on Mon, 03/14/2011 - 08:50. It's somewhat of a semantic point, Aaron, but I find it telling that the wonderful city of Nashville appears to have no people whatsoever in it.